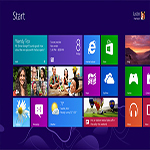 Windows 8 has many preinstalled Apps and they use your internet connection and make your internet speed slow. You can block automatic updates of these apps by following this step by step tutorial. 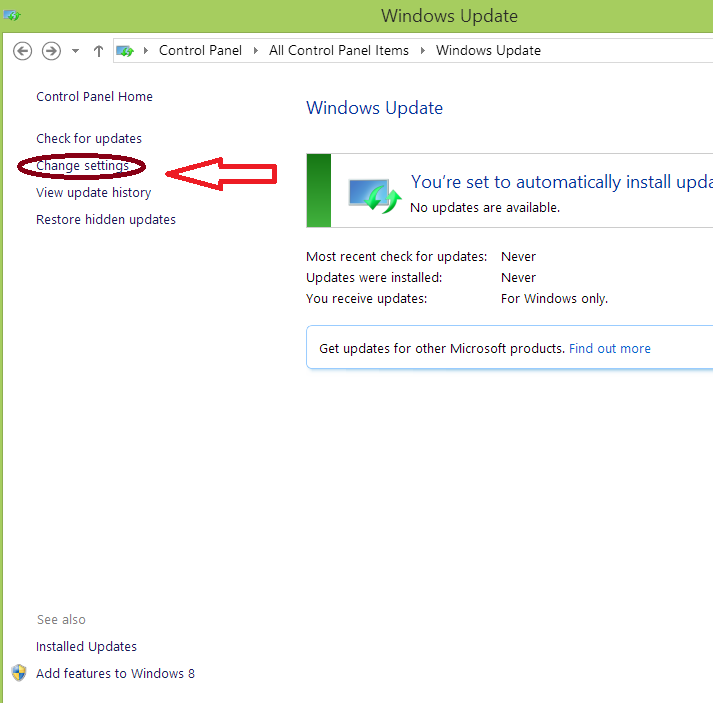 Windows Components > Store > Turn Off Automatic Downloads of Updates. Double click on it , Tick on ENABLE button . So by following this level you have just blocked auto update of windows Appstore applications. 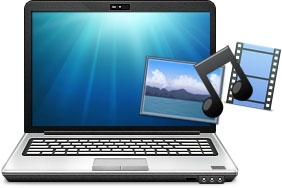 There is also another one method to Block internet connection for all applications installed in your machine. This is done by using windows 8 firewall. Step 2. Now, Go to Search. Step 3. A Search Bar appears, now type control panel. Control Panel appears. Click on it. Step 5: Click Advanced settings on the left side. Step 6: A new pop up Window will appear. Next select Outbound Rules on the left side. Step 7: In the menu bar Click Action then click New Rule. Step 8: A window will appear asking you What type of rule would you like to create? select Program and press Next. Step 9: Now you can select All programs or you can specify a selected Application By browsing and selecting the application. Now press NEXT to continue. Step 10: Now select Block the connection and press Next. Step 11: Now give any name so you can recognize this setting later and Press FINISH . And you have just blocked internet connection of all applications/programs/softwares in your windows 8 machine. 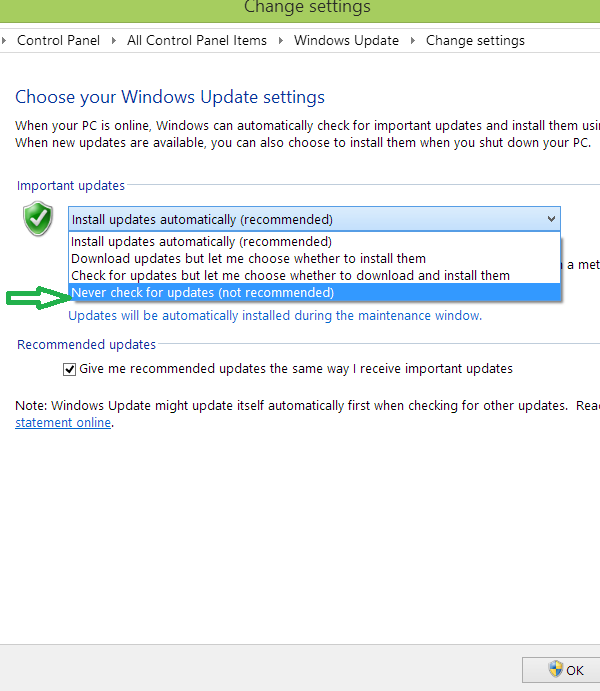 Well I hope this tutorial will help you to block unwanted windows update. But I don’t recommend you to do so because Microsoft is trying its best to update its product for better security and eliminate software bugs. I have written this tutorial for those who does not have fast internet connection and Windows updates make it worse for these users.